The quality of your fire protection Toronto plan highly depends on the type of fire sprinkler you choose. This means that it is vital for you to realize the different types of sprinkler heads available when you are looking to safeguard your building. If you have been shopping around, you may have already realized that the main types of sprinkler heads available are standard and quick response. Although the main function of the two is the same, to extinguish fires and provide protection for those in danger, each type deals with its own specific hazard. You will mostly find the Standard Response (SR) in large industrial or commercial buildings such as factories and warehouses. 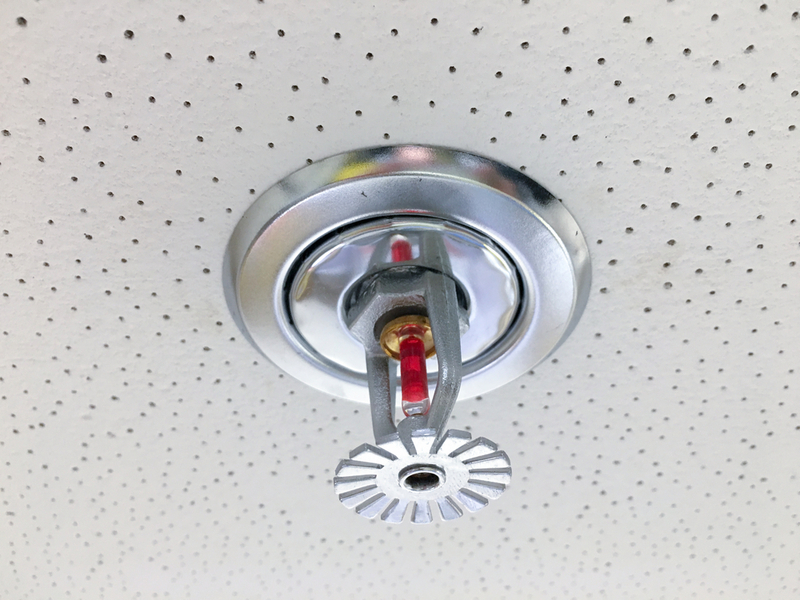 When a fire breaks out, this type of sprinkler head wets and cools the surrounding areas, which cuts out the fuel source and prevents the spread of flames. As a result, the fire is slowed down enabling the fire fighters to reach on time to deal with the problem before it becomes a disaster. SR sprinkler heads become active when the fire breaks out directly below them as they undergo individual activation. Commonly utilized for light hazard situations, quick response sprinkler heads are applicable in schools, assisted living facilities, and office buildings. What differentiates them from the SR sprinkler heads is the fact that they can discharge water toward the higher levels of walls and ceilings to prevent the fire from rising. One of the advantages of this kind of water discharge is the cooling effect it has on the ceiling which gives occupants time to evacuate safely. Are you looking for sprinkler systems? Steadfast Safety Services is a company that offers the best fire protection services and products. Among the state-of-the-art products that we have, are high-quality sprinkler systems for both wet and dry fire protection plans. As part of the products we provide, we also have the most reliable, timely, and affordable fire sprinkler systems installation service. Dubbed as the best in Toronto and its surrounding areas, our installation service includes comprehensive system testing that makes sure the system installed is functioning as it should be. You definitely do not want a system failure during an emergency. Steadfast Safety Services has technicians who ensure your business or home experiences minimal interruptions during any system testing or servicing. Our technicians have earned the trust of many clients in Toronto because of their expertise and courtesy. To ensure that our customers feel safe with our technicians in their premises, we go all out to employ experts who have undergone the required training and are of a very high moral standing. Therefore, worry no more about getting the finest sprinkler installation services or products. Steadfast Safety Services is here for you 24 hours a day, 7 days a week. We can also cater for emergencies you have as we have guys on standby to deal with any emerging issue concerning fire safety. To get a free quote, contact us today.